I’ve been fly fishing for the last twenty years, with the last five years concentrating on salt water fly fishing in Fiji. My passion is having the opportunity to share awesome experiences with fellow anglers who visit my island home! With that also the opportunity to pass on a strong message of oceanic conservation in the south Pacific. My home waters are the waters surrounding mamanuca and Yaswa islands of Fiji’s Western division. You’ll either find me and the team chasing pelagic species, from Sailfish to various species of tuna. 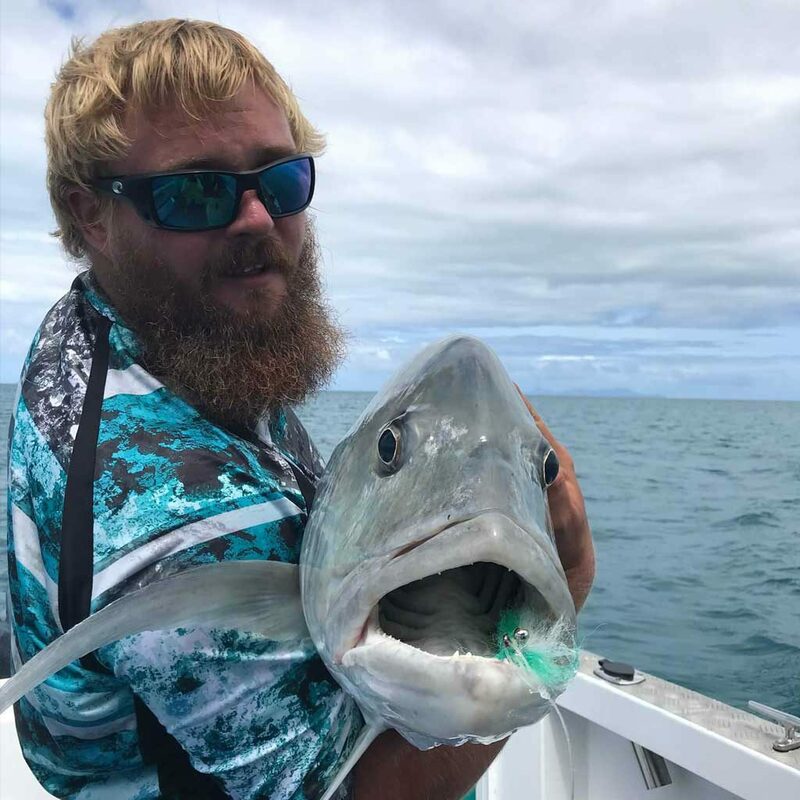 We also love to target various reef species, with our main target being giant Trevally! My personal favorite time of year is our end of summer and Autumn as this is when you have the greatest number of species available to target. My favorite destination for freshwater would be Europe chasing wild trout! When it comes to saltwater my favorite destination is the Yasawa islands in Fiji! In all honesty I’m living it!